Things are getting more and more exciting as GalaCon is only 4 moths away, but we are still not getting out of interesting news for you. For the 7th GalaCon, we are happy to announce voice actress Fenny van Steen, who has been giving Boulder a voice since his first appearance. She started her career early as the actress of the 3rd tree in a school play and got famous with the role of Ellen in the German synchronization of the silent movie Nosferatu. 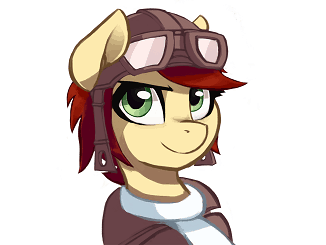 Dutch Bronies might also recognize her as Tom in the Dutch synchronization of the show. Stay tuned for the first community panel announcements within the following weeks!